Legend has it that the Blessed Virgin appeared in this place to bishop St. Magnus, commanding him to build a church in her name, and the people called it S. Maria Formosa in memory of the prosperous form in which She appeared. The legend was born in the 1300s, even if it was documented for the first time in 1060. 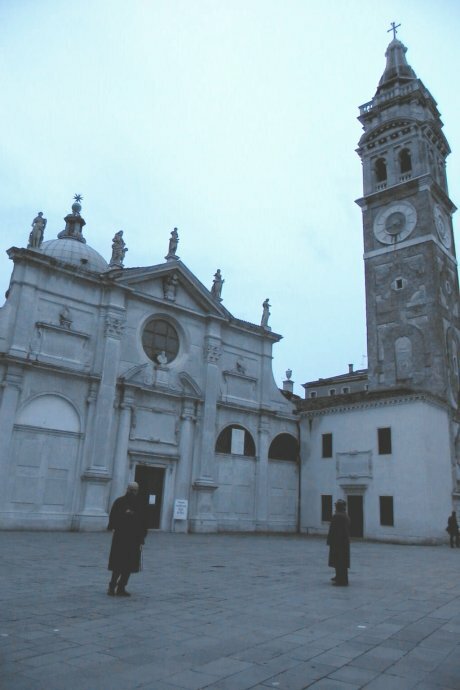 The casselleri (who made the boxes which were needed for the transport of goods or to contain a bride’s “bottom drawer”) had their school of devotion, sacred to S. Giuseppe, at the church of S. M. Formosa and when they gained a victory on the day of the Purification of Mary the Virgin, asked the doge and the Signoria to come and visit the church once a year. On the occasion of this visit homage was paid to the doge from the church in the form of two chapels of paper or golden straw and two flasks of malvasia with two oranges on top: these gifts were the result of the joking reply that the doge made to their request for pilgimage: “And if it’s going to rain? And what if we’re thirsty?” and the boxmakers answered, “We will give you chapels to cover yourselves and something to drink”. The church, which became a parish church immediately a parish church, was altered only after 2 centuries through the work of the sons of Marino Patrizio in 864. A fire destroyed it in 1105. The two main facades which look out over the “Campo” (1604) and the canal (1542) were financed by the Cappello family. Over the course of time, the church underwent further restoration: one in 1842 and a more consistent one in 1916 to repair the damage caused by an Austrian bomb which fell on the 9th of August in that year. (The first World War).